In 1204, a certain Marie de Montpellier married King Pedro II of Aragón. This was her third marriage, and I dare say we can safely conclude Marie was rather unlucky in love—or at least in marriages. But before we start dissecting her marital unions, we need some background. 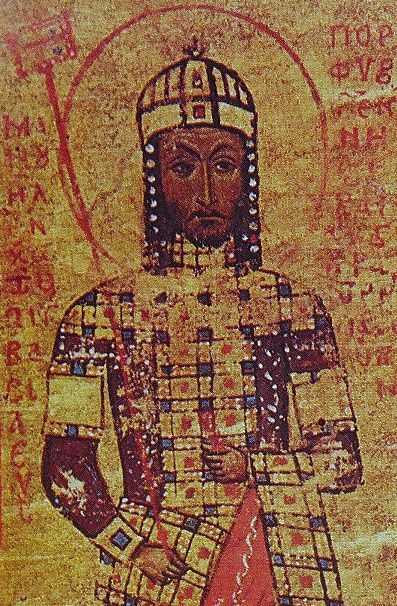 Marie was the daughter of Guillaume of Montpellier and Eudokia Komnene, a great-niece of the Byzantine Emperor, Manuel I Komnenos. Now, the idea wasn’t to have Eudokia wed Guillaume (who was a relatively small fish in the overall scale of things) but rather one of the Aragonese princes—preferably the heir to the throne. Alas, when Eudokia in 1179 arrived at the Aragonese court, the heir, the future Alfonso II was already wed—this according to various chansons which may not be the most reliable of sources. After all, troubadours aimed to entertain rather than give a correct factual account. It is more probable that Eudokia was sent off to Provence specifically to wed Alfonso’s younger brother, Raymond Berenger V who was the count of Provence. As the young man remained happily unwed when she arrived, the couple was formally betrothed. This did not go down well with Frederick Barbarossa, Holy Roman Emperor, who had no desire to have his vassals entangled with the Byzantine empire. In fact, Frederick and Manuel I had history, with Manuel doing what he could to foil Frederick’s attempts at expanding his power base and vice-versa. 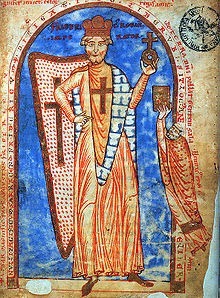 Raymond was forbidden to wed the fair Eudokia and instead a marriage was arranged for her with Guillaume VIII, Lord of Montpellier and famous troubadour in his own right. Not at all the grand marriage promised her, but Eudokia was young and far away from her own family so what could she do but accept? She managed to push through one condition: her firstborn, whether male or female, was to be recognised as the heir to Montpellier. Now, before we go any further, let us stop for a while and consider this: the 12th century was not exactly an egalitarian society, and while women had rights of inheritance, generally they were secondary to those of their brothers. Men wanted male heirs who would carry their name forward. I imagine this applied to Guillaume as well (especially considering his future behaviour) so why did he agree to this condition? Was Eudokia that fair, that rich? Contemporary troubadours refer to her as Emperor Manuel’s golden camel which I take to mean she was well-dowered (one hopes it did not reflect on her appearance…) Maybe that’s why Guillaume agreed. It seems he did so while keeping his fingers crossed. Marie was only ten when she was married for the first time, this to a gent named Raymond Geoffrey, viscount of Marseilles. He had recently repudiated his first wife (because all they had to show for their marriage was a disappointing girl) and was happy to wed a potential heiress such as Marie. Mind you, at the time it was uncertain if she was an heiress, seeing as her half-brother had recently been born and her father was making a lot of noise about needing a male heir. At the age of eleven, Marie was widowed. In 1197, at the age of fifteen, she was wed again, this time to Bernard de Comminges. This was a complicated relationship: Bernard already had two living wives (he’d repudiated them but the Church had not formally annulled those marriages) which effectively meant Marie was living in a polygamous marriage. Did she mind? No idea. And whether polygamous or not, Bernard was happy to father children on Marie who gave birth to two girls, Mathilde and Petronille. I dare say Bernard was disappointed. Or maybe he wasn’t, but this was soon to be a moot point, because another, much stronger player, had now begun to develop an interest in Marie. Enter Pedro II of Aragón, the young and ambitious Aragonese king. Ah, some of you may happily sigh: at last, here comes Marie’s Happily Ever After. Nope. Pedro did not pursue Marie out of passion. For him, it was all about politics. About five years Marie’s senior, Pedro had his eyes on Montpellier, thinking that adding this particular castle to his domains would help him strengthen his position in Languedoc. Plus, Montpellier was a wealthy town, grown rich on trade. At the time, Marie was in dire straits: her father had died, and as expected, he’d named Marie’s half-brother as his heir, ignoring the binding clause in his marriage contract with Eudokia. Marie wasn’t having it, protesting to the pope. But Guillaume Jr was already in control of Montpellier and no matter how much the pope protested, Guillaume seemed reluctant to leave. Why should he? 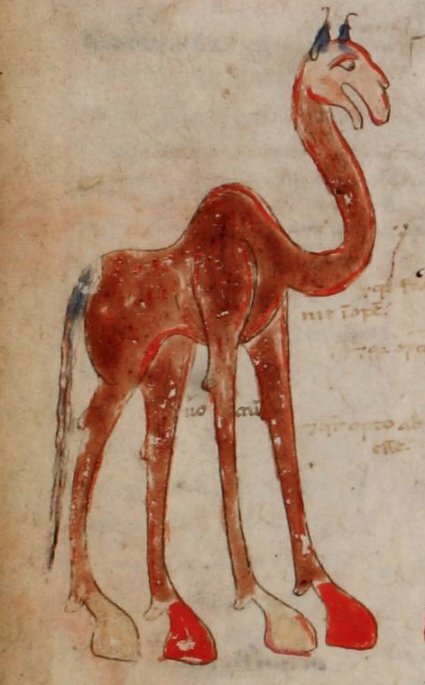 His father wanted him to inherit, not the sad daughter of his first marriage to Emperor Manuel’s golden camel. Pedro offered to help out—at a price. If he could convince the pope to annul Marie’s marriage to Bernard, he wanted Marie to marry him, thereby transferring Montpellier under his control. Marie said yes—which probably indicates a not-so-loving relationship with Bernard. Or maybe she was as avaricious as Pedro and looked forward to becoming a queen. In 1204, Marie married Pedro. That same year, Pedro and Marie regained control over Montpellier. As an aside, Pedro had quite some good sides to him, starting with how he tried to defend the Cathars from the French crusaders led by Simon de Montfort. He actively worked towards establishing some sort of peace in Languedoc, was suspicious of fanatics, no matter what side they were on, and was so committed to defending those who had pledged their loyalty to him that he took to the field to defend them. It ended with him dying at the Battle of Muret, but that is an entirely different story. Back to our loving couple: In 1205, Marie gave birth to a daughter. By then, Pedro was regretting having married Marie. 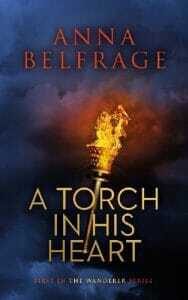 He now had his sights set on Maria de Montferrat, the thirteen-year-old queen of Jerusalem. Being a man of action, Pedro therefore decided to divorce Marie, preferably while retaining Montpellier. Forget it, Marie said, appealing once again to the pope. Pedro obviously wanted an obedient wife. Being challenged by the woman whose patrimony he had restored to her did not go down well. So he retaliated by avoiding his wife as much as he could, spending his nights with his mistresses instead. However, there was a problem: the pope was reluctant to give Pedro the divorce he wanted and Aragón needed an heir. 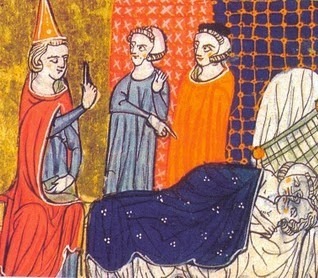 According to legend, Pedro refused to bed with his wife, despite the pleading of his councillors. Driven to the edge of despair, the councillors hatched a plan. Seeing as they needed Marie’s cooperation, I’m assuming she was very much on board with disguising herself sufficiently for Pedro to mistake her for his favourite mistress (it was dark, one assumes. And Pedro had been plied with wine) So, against his will, Pedro bedded his wife and lo and behold, that one night of passion resulted in baby Jaime, born in 1208. Hmm. Or, as I am prone to saying, double Hmm. While the legend is rather intriguing, I think Pedro realised he had to do his duty, no matter what he might have thought of his wife. A bit sad, that, isn’t it? Two people, obliged to share a bed to procreate, no more, no less. According to the more lurid version, so incensed was Pedro at being tricked that he refused to acknowledge little Jaime. And despite Marie now having done her duty and presented him with a male heir, Pedro was determined to get his divorce. Marie was just as determined to foil his attempts. Once again, Marie could count with the support of the pope—much to Pedro’s chagrin—and in 1213 the pope ruled there would be no divorce. Not that Marie would live to enjoy her victory—she died a few months later. And while Pedro may have rejoiced at being a free man again, he had other issues to deal with, principally the increased tensions in Languedoc that would end with his death in September of 1213 at the aforementioned Battle of Muret. So passed Marie of Montpellier, all of 31 years of age. Hers had been a life controlled by men who rarely set her interests before their own, a life that seems sadly devoid of joy and contentment. She didn’t even get to spend much time with her son, as Pedro had used Jaime to negotiate some sort of accord with Simon de Montfort. At the age of two, little Jaime was transferred into the care of de Montfort to be raised with his prospective bride, de Montfort’s daughter Amicia. In the event, Jaime was orphaned at the tender age of five when he also became the rightful king of Aragón. Perfect, de Montfort Sr thought, deciding then and there to keep Jaime close, thereby acquiring the wherewithal to control Aragón. Loud protests followed. No way were the Aragonse barons going to accept that their little king was effectively held as a hostage. Only on direct orders from the Pope Innocent III did de Montfort Sr return Jaime to the Aragonese and by then the idea of a future wedding between little Jaime and Amicia was quite, quite dead. Jaime grew up to become one of the longest reigning Iberian kings. He never knew his mother (or his father) but he was proud of his Byzantine blood. (I dare say no one ever referred to his grandmother as “the Emperor’s golden camel” in his hearing.) And as to Montpellier, this thriving town remained a jewel in the Aragonese crown well into the 14th century. I’m not sure Guillaume de Montpellier would have approved. Enjoy hearing about one of the Byzantines who married into European nobility/royalty. I wasn’t aware of this one, but there are a few of them! Another fascinating Medieval woman. Thanks for the post.